is a universal torch height controller (THC) for using with the PlasmaSens – torch height sensor device. Thanks to an optical connection it’s fully electrically (galvanically) isolated from high voltage plasma cutter’s equipment and so it’s safe to use. 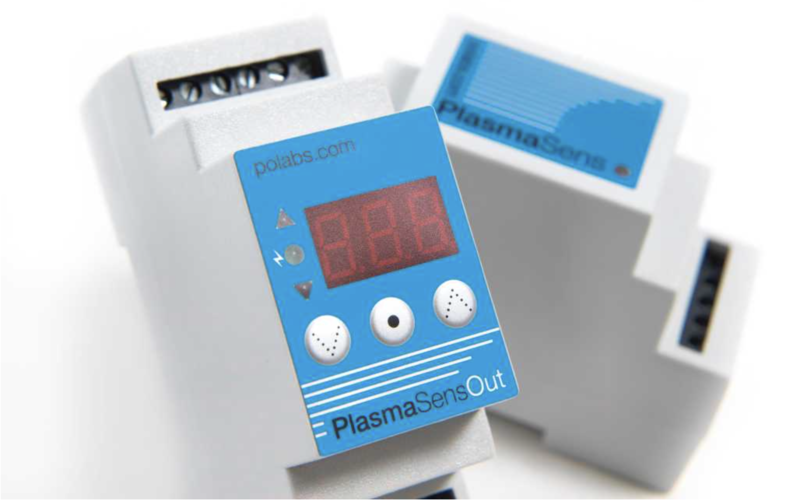 PlasmaSensOut provides standard programmable ARC_OK, UP and DOWN signals and it’s compatible with most CNC controller boards on the market. A simple user-friendly interface allows quick and efficient moving through menu using three menu buttons. Led display in default state shows temporally arc voltage and led diodes signalize state of output. User can set the following THC parameters: reference voltage, hysteresis (non-active range around reference height), delay time and anti-dive limit voltage. All parameters are adjustable during operation.